Drain Cleaning - Poole's Plumbing, Inc. Drain Cleaning tips and advice from local area plumbers, learn the leading cause of household drain issue and how to solve them. Dealing with clogged drains isn’t something you can put off for long, but many people don’t even know where to begin. Other are worried that strong chemical cleaners may be harmful for their health. The good news is that, with just a bit of baking soda, vinegar, and some very hot water, you’ll be able to get all of your drains working like new again. Baking soda and vinegar are the perfect drain cleaning agents for three main reasons. First, they don’t pose any risks to your health or to your drains. Second, when the two are mixed, they create carbon dioxide and sodium acetate, both of which can easily dissolve the grime and gunk that has built up in your plumbing. Third, the foaming bubbles they create further work to give your drains a thorough scrubbing. Enough with singing the praises of using baking soda and vinegar to clean your drains; let’s go through the steps you need to take to actually do it. Step 1 – Prepare 2 cups of baking soda, 1 cup of vinegar, 4 cups of boiling water, and bring them to your target drain. Step 2 – Pour 1 cup of baking soda down the drain, followed by about half of your boiling water. Step 3 – Pour your second cup of baking soda down the drain, followed by your cup of vinegar. Step 4 – Quickly plug the drain to trap the bubbles in the pipe, allowing them to clean more effectively. You should be able to hear the mixture working. Step 5 – When the sound of the bubbles begins to quiet down, open the drain again and pour your remaining hot water inside. This should clear away any remaining debris. Step 6 – If your drain still doesn’t seem to be running as smoothly as it could, you can repeat steps 1-5 as many times as it takes for water to flow through it unimpeded. Some particularly grimy drains may also call for the use of a sink plunger. If the baking soda and vinegar doesn’t seem to be able to clear away all of the gunk, you can be sure that it has at least loosened it all up. After filling your drain with water you should seal it off with a plunger and quickly plunge up and down a few times. This should be enough to dislodge any remaining grime. To keep your drains in tip top shape you should try not to let them get so clogged again. Clear them periodically with some baking soda, vinegar, and water, and you’ll save yourself from having to deal with many future drainage problems. After that if your drain still doesn’t seem to be running as smoothly, you could have a bigger issue. Call your trusted local plumber. A clogged drain can be a costly and disastrous problem if not addressed properly, and utilizing the most innovative techniques and equipment in the industry, the foremost authority on Hydro-Jett Services in the Raleigh NC and surrounding area, Poole’s Plumbing is your “go to” for opening up those pesky clogs. Although many are still not aware of the differences in Hydro-Jett Services as opposed to the traditional use of a cable feeding device to clear a drain, the professionals at Poole’s Plumbing, as in all fields, are experts. Utilizing high pressured jets of water that send a spinning stream through your clogged lines at different angles, Hydro-Jett Services leave your pipes clean whether the clog is formed by more common items like grease build up or soap scum, or even the always difficult tree roots. The process is safe on any and all types of drains and as an added bonus to getting your drains cleared, Hydro-Jett Services allows for your yard or pavement to not need to be dug up and made a mess of. There are many benefits to choosing the Hydro-Jett Services when having your drains cleared but the following points make clear why this has become the most efficient and effective method for both residential and commercial drain clearing needs. The overall power of the 3,500 PSI high pressure water jets used by Poole’s Plumbing through their Hydro-Jett Services COMPLETELY clears the line of all debris and build up. While snaking with a cable can remove a blockage or clog, it still leaves residue that will eventually lead to another clog that can be avoided through Hydro-jetting. While some may question whether the amount of water used in Hydro-Jett Services being wasteful, in actuality compared to either chemical or other procedure, this process is far more environmentally friendly that other drain cleaning methods. Unlike many other of these methods, hydro-jetting is even safe for residences or businesses located close to lakes, rivers, ponds, and other water. 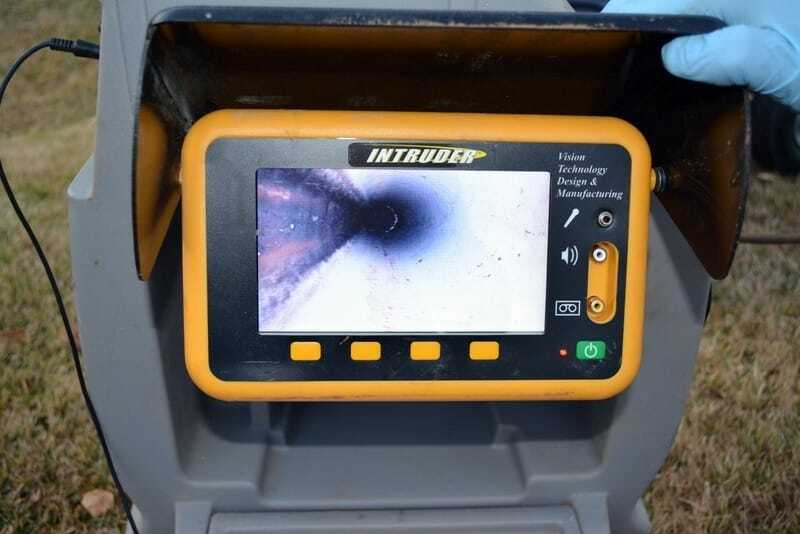 In addition to these reason to utilize the Raleigh NC professionals at Poole’s Plumbing’s Hydro-Jett Services, they also offer a camera on all of their hydro-jetting lines so that you can personally view how clear the pipes and drains have gotten. For more information or to have Poole’s come out and take a look at your clogged drains, visit the Hydro Jett Clear and Clean Services page on their website at poolesplumbing.com.